Smoke density measurement has grown to become a hugely important element to evaluate in fire science. 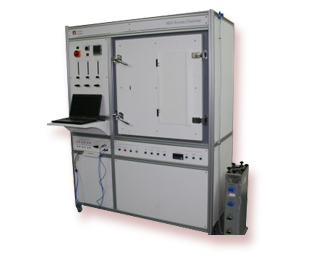 The NBS Smoke chamber is used in virtually all of the different areas of fire testing. It is a hugely versatile instrument and is used for aviation, plastics, marine and railway test methods. It is also used extensively in these sectors for the evaluation of toxicity. Merry Christmas and a Happy and Prosperous 2019!